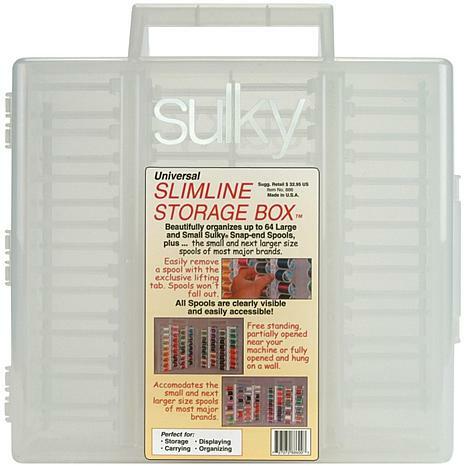 SULKY-Universal Slimline Storage Box is perfect for all of your threads! Beautifully organizes up to 64 Large and Small Sulky Snap-End spools, plus the small and next larger size spools of most major brands. 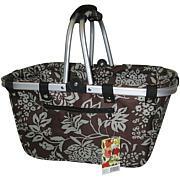 Use free-standing, partially opened near your machine, or fully opened and hung on a wall. Empty Storage Box is lightweight (only 6 pounds when filled), made of translucent plastic with a convenient carry handle. All spools are clearly visible and easily accessible, remove a spool with the exclusive lifting tab-spools will not fall out. Size: 15Hx15Wx3D when closed. This is a wonderful thread storage system that not only holds your Sulky 40 embroidery threads but also fits larger spools as well. They are held in place well but are still easy to remove, plus you can see the colors even when the case is closed. 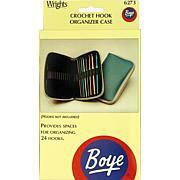 This is great for storing threads. This is a great storage box. 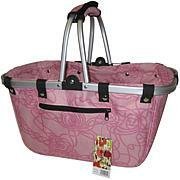 It is very durable and will last for years. Bought 3 of the different boxes by Sulky! The boxes are fab. I was able to store all the most used sizes of embroidery and reg. 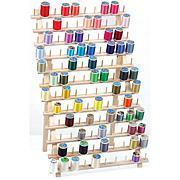 thread spools in these! Love the box and thread combinations! Thanks! They are see through so you can see what you need before you open the boxes & that's another plus. I would also like to have Sulky create a box like these for cone threads as well! Wonderful product. Jesus Loves You! Be Blessed!